Good protected dustwrapper. Ex library. 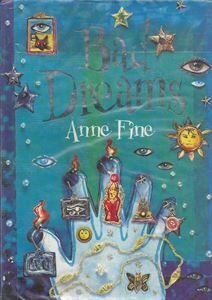 I adore stories in which people have weird dreams, and strange things happen. But that's in books. Mel is the class bookworn. She prefers books to people and certainly doesn't want to be first-week minder for new girl, Imogen. A gripping tale of real life and story-lives - and of the importance of being free to be yourself.